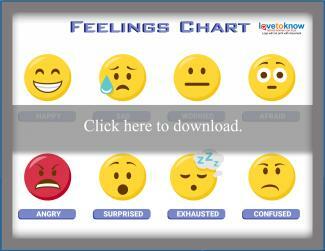 A feelings chart for children can be a useful tool to help kids work through and better understand their emotions. Whether you are using the feelings chart for preschool or older kids, this method can help them to understand that their feelings are common and they are not alone. Sometimes kids don't completely understand their emotions or can't express their emotions properly, as in the case of like autism spectrum disorder. In this case, having a feelings chart printable can be helpful. Since all ages are different, a toddlers emotions chart has limited emotions and images of real children they can relate to. This can help them to point to the emotion they are feeling. Older kids have more diverse emotions. Using a printable with a wide variety of emotions using emojis can be more helpful for them. For help with downloading and printing, check out the Adobe printables guide. Everyone experiences all kinds of emotions, and children are no different. While some parents allow their youngsters to freely express their feelings at all times, other children may feel repressed. Hiding or minimizing emotions, particularly ones that some adults view as "bad," may result in negative consequences down the line. This is especially true for kids going through emotional events such as their parents' divorce, the death of a loved one or a big move to a new city or school. While it is not always possible to act on one's feelings, kids shouldn't be afraid to talk about them. They should also know that whatever way they feel is valid; no feeling is "wrong". It is sometimes difficult for kids to express themselves. Very young children or those with disabilities often lack the nuances in vocabulary to express how they truly feel, so an emotions chart for preschoolers can be the perfect vehicle to express themselves. Empathy is also a trait that comes with age and maturity; young kids might not understand that other people have feelings just like they do. Even children who can express their emotions well may benefit from a feelings chart, using it when the person they wish to talk to isn't around, or just to work out their feelings themselves. Make it kid-friendly: For children who have few emotional outlets, make this the one area where they are allowed, even encouraged, to freely display their emotions. They might feel happy and scared at the same time, as in the case of attending a new school away from their old neighborhood. They might feel relieved that their parents are divorced after years of fighting, but also guilty and sad. All of these feelings are normal and should be treated as such. Age appropriate: Very young kids who don't yet know how to read will benefit more from charts that display emotions in pictures instead of words. Look for those that have stickers or magnets with a happy, sad, scared, angry, confused and surprised face. Make it colorful: Whether you purchase a chart, download one or make one yourself, make it as appealing as possible to young eyes by going for lots of color. Red may signal anger, while yellow may represent happiness. You might also ask a child for his input if you design your own chart -- let him decide which colors go with which feelings. Sometimes at home kids can get too overwhelmed and emotional to express their true feelings. Other times, they might be afraid of the feelings that are raging inside of them. There are several ways that a feeling chart can be helpful at home. Hang a feeling chart up on a wall or refrigerator for kids to reference when they are feeling overwhelmed. This way they can refer to it when needed and this might help them to express their emotions more easily. You might also have them point to their emotions if they are nonverbal. Place a feeling chart in a room that might be more emotionally charged than most. Allow your child to reference the emotions chart and point to the different emotions they are feeling. This can help you to read your child and work through the emotions together. For children that have problems expressing themselves or that are nonverbal, an emotions chart can be a lifesaver. These can really help teachers and those around the child to understand their feelings and needs. Laminate a feelings chart and add it to their bag or sensory box. 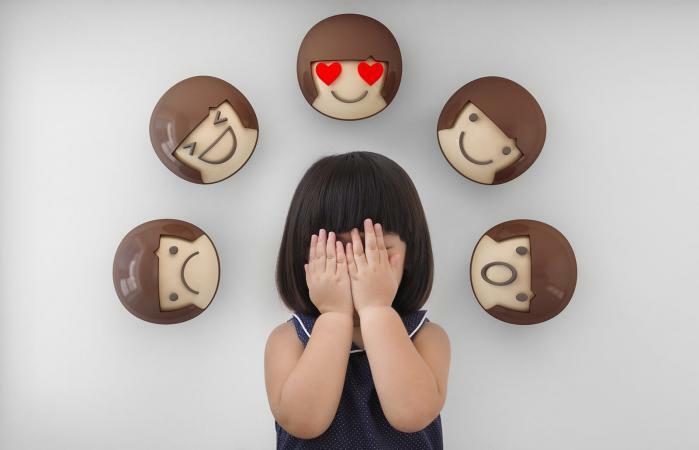 This can help them to express to teachers and friends their different emotions. Hang an emotions chart in a classroom in a highly accessible area. Children can use the chart to reference the different emotions they are feeling and put words to them. Ask 'How are you feeling?' and allow the kids to use the chart to differentiate their different emotions. Whether your child expresses his feelings well in words already or not, a chart can help him process his emotions and differentiate different emotions like mad or frustrated. Using a chart for the times when he can't find the words can benefit your child, as well as everyone else in the house. A chart can also be used as a kind of dress rehearsal; working through the chart can give your child the understanding of his emotions that will enable him to have a conversation about those feelings afterward. Now check out activities for promoting language in Autistic preschoolers.